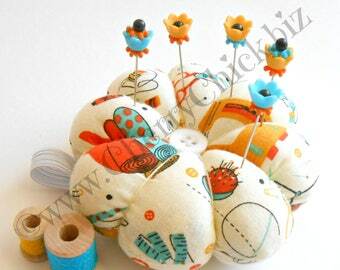 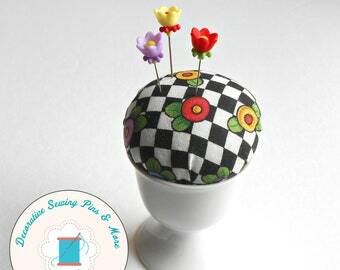 A Too Cute Mary Engelbreit (almost vintage) Collectible Sewing Pincushion with a set of Cherry Chick decorative pins included. 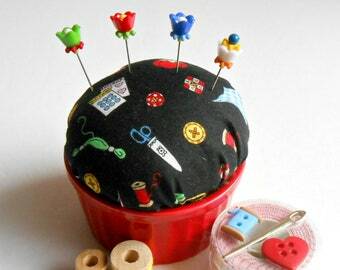 The lid is hinged revealing a space to store sewing notions. 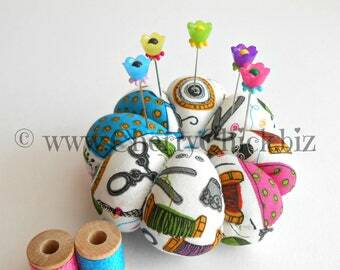 It will come in the original display box with black & white checked ribbon. 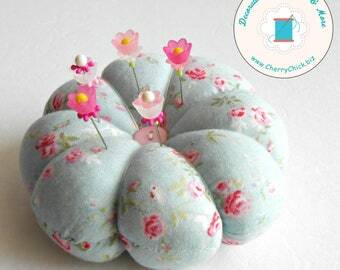 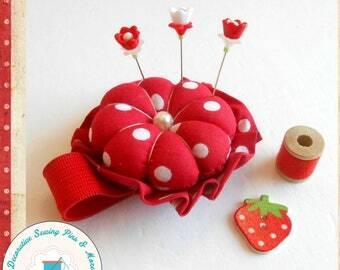 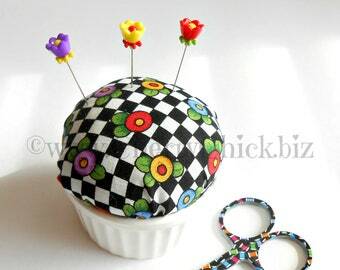 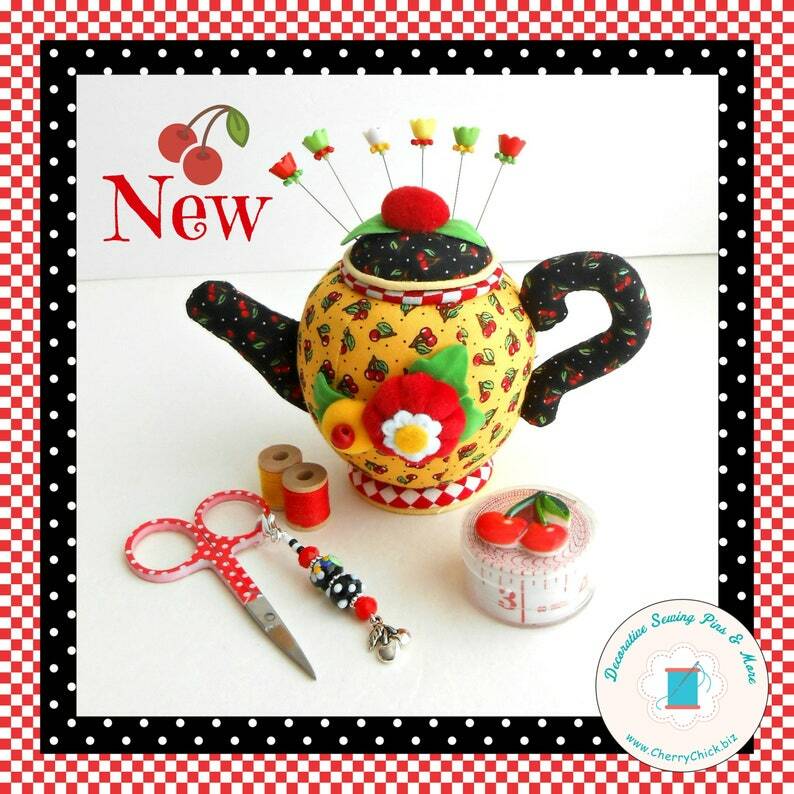 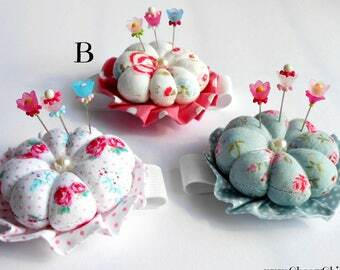 Previously owned, Cherry Tea Pot pincushion made by Dritz in 2001 available. 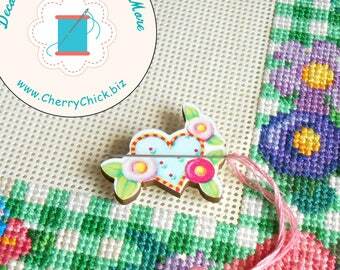 I'm, also, including a set of the decorative flower pins that I make and sell here in my Etsy shop. 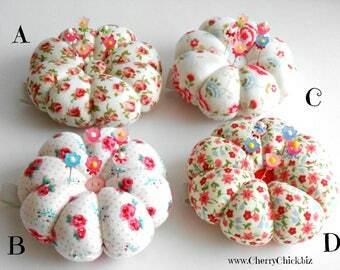 6 floral decorated pins in shades of red, yellow, white and green. 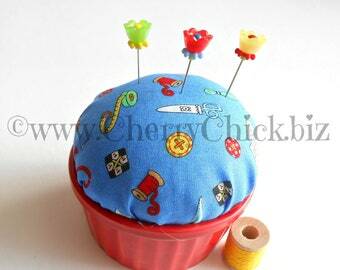 I plan on giving this to a friend who sews.